I have written about Traveling to Disney with Food allergies, but now it is time to talk about other dietary restrictions. I understand the stress that occurs while planning a vacation when there are medical issues with foods. Where do we eat? Can we bring our own “safe” food? One thing to know is that you can bring in your own cooler with your comfort foods (with some rules attached) or just stuff your backpack and stroller with necessary items. Did you know you can bring in a soft sided cooler into the WDW Theme and Water Parks? Yippee! Another way to save money!! It is also a way for those with dietary issues can enjoy without worry. Make sure you inform the security upon entering the park that you have a guest with food allergies/intolerance, diabetes, or metabolic disorder. Pack food that will not spoil; avoid lunch meat, dairy products, and anything that will smash or bruise easily (like bananas). Think PB&J, apple juice, squeeze apple sauce, fruit strips. Pack small portions; you will want to a quick grab and go pick me ups between rides. Don’t forget your Ziploc bags; helpful if you have any leftovers from your stash or a restaurant. Goodbye my old friend Fastpass…Hello FastPass + and My Disney Experience! I have to say that I am nostalgic about the old system because most of us frequent WDW visitors had that down to a science. But as of this month, the old fastpass machines at the entrance to the most popular rides are no more! Instead, all guests are now expected to take part in the new My Disney Experience, My Magic+, Magic Bands and FastPass + (FP+) online system. Things work differently depending if you are staying on property or off site. You select (and can change) your return time for the ride/experience. Oh No! I can only go when it is crowded!! What do you do if you can only travel during the more crowded times of the year? Don’t fret, help is on the way. First of all, you need to know the most crowded times of the year. Basically, if kids are on a break then WDW is crowded. Lower your expectations: You can not expect to go to Magic Kingdom and ride everything on your list. Pick your top 3 priorities and know there will be time to do other things. By doing this you won’t be walking away disappointed and you will be pleasantly surprised when you get more accomplished. Stay on Property: The convenience of staying on property outweighs the additional cost in this situation. The resort transportation will be more crowded than normal, but will not be as bad as driving your own car into the crazy parking lots, then taking a tram to the entrance or WDW transportation. This is especially important for Magic Kingdom because you park at the Ticketing and Transportation Center then take a monorail or ferry to the entrance of the park. By staying on resort property you also have the benefit of Extra Magic Hours (EMH). Extra Magic Hours: When staying on property you are given access to certain parks for 1 hour in the morning before it opens to the public and 2 hours in the evening after close. Taking advantage of this can greatly increase the amount of attractions you are able to see and do! I personally like to enjoy EMH mornings at one park and then leave when it gets crowded to go to a different park by park hopping. Alternatively, if you are a night owl the evening EMH might be up your alley. The evening EMH are much more crowded than the morning, but if you can stay until the end you will reap the benefits of extra ride time with little wait. If you are not staying on property, avoid the parks with EMH during your vacation. Park Hop: The additional cost of the park hopper is the most beneficial during these times. You can go to one park until the crowds overwhelm you, then hop over to a less crowded park. Or you can head back to your hotel (especially when staying on property) and then hop to a different park in the evening. Go to the parks EARLY: I know you are on vacation, but so is everyone else going to Disney. That being said, WAKE UP EARLY and be at the parks for rope drop (official opening) or soon after! Most people will not get themselves together and moving by 8am, but by 10am the parks will be crowded. No one goes to Disney for a relaxing, sleep in vacation. For example: Christmas Day at Magic Kingdom has been at capacity the last few years around 10:30am. You can walk right in at 7am, but you can’t even get past the gates at 10:30. What does this teach us (other than avoid MK on Christmas!)? Get to the parks early, you will thank yourself when you are walking out to take a swim at 11 and the entrance turnstiles are 20 deep! Take a Mid Day Break: The parks are most crowded from 11am-4pm. Take a break back at the hotel for swimming and a nap. Or have lunch in a hotel near the park and do some hotel hopping to check out the different WDW resort hotels. Make ALL your dining reservations: When going during a crowded time of year, you will not have a snowball’s chance of getting into the more popular restaurants without reservations far in advance. That being said, you can still get into table service restaurants. Choose less popular restaurants in the park or ones located in the resort hotels. Utilize the Fastpass system: This is the time when Fastpasses are your best friend. Decide your most important priority and get a fastpass at park opening for that ride. You can get your next fastpass 2 hours later, so at 9am if your fastpass return for Space Mountain is not until 2-3pm, you can get another fastpass at 11am for a different ride as well. With the new Fastpass+ system, you can prearrage your fastpasses (up to 3) which will be a huge benefit to staying on property during a crowded time. I hope this advice helps and doesn’t scare you! I have traveled over Christmas with a group of 14 and I am going back at the same time this year. Take this advice and you will still enjoy your trip! One of the most common questions is about the different types of park tickets. This can be very confusing for anyone who is not a WDW nut like myself. So here are the answers to those questions! Base Ticket: Allows entry into ONE park per day. You can leave and reenter later in the day, but you must return to the same park. The ticket cost varies based on how many days you purchase. The per day ticket cost is less per day for each additional day you add. The longer you play, the less you pay! 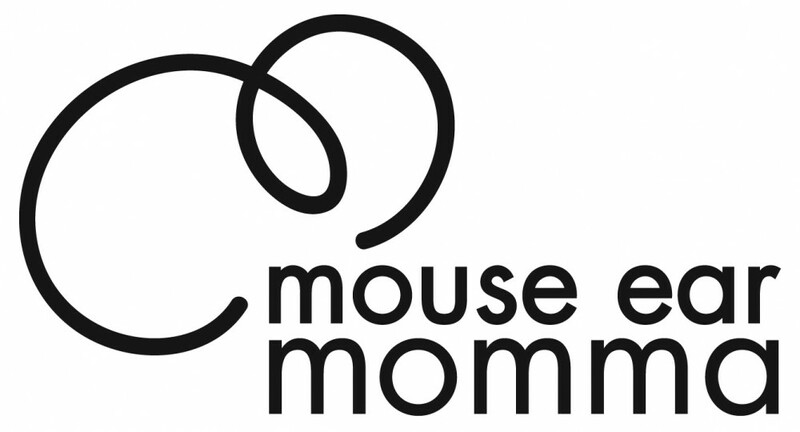 is the tagline used by WDW. Park Hopper option is an add on to your base ticket that allows you to enter more than one park per day. Water Parks and More option is another add on to your base ticket that gives you access to the following: Blizzard Beach & Typhoon Lagoon Water Parks, ESPN Wide World of Sports, DisneyQuest Indoor theme park, Oak Trail Golf Course, Fantasia Gardens & Winter Summerland Miniature Golf Courses. WP&M option does have some limitations. You cannot hop between these activities, you can return to the same one. Mini Golf must be played prior to 4pm as well. Each of the add on options are a flat rate per ticket of $62.84/ticket including tax, but if you add both it is $89.46/ticket including tax. This is the cost for both adult and child tickets. Tickets expire 14 days after the first use. Tickets cannot be used by more than 1 person. Disney uses a biometric finger scan upon entry to guarantee this. There are reputable discount ticket agents out there, but I prefer to purchase mine through WDW. If you purchase through a second party vendor and there is a problem, Disney is less flexible about assisting you. I have priced AAA as well and when you include the tax, AAA can be more expensive than buying from WDW directly. Now, if you are someone who needs a travel agent to handle the details, then go for it. In this day and age of Internet, it seems much easier to make your own arrangements and do your own research. I have found that travel agents are happy to make the commission but might not have the knowledge of all the aspects of Disney outside of a training session. What are the MYMagic + bands you ask…Soon there will be wrist bands instead of cards that will contain all of your information for ticketing, dining, room key and charging back to your room. In May, they had the RFID readers at Hollywood Studios and Epcot and you just placed your card in front of the Mickey and waited to the biometric scanner for your finger. It will also include your fastpasses if you so choose, but you will need to schedule your fastpasses prior to leaving for your trip similar to dining. But that is a topic for another article. 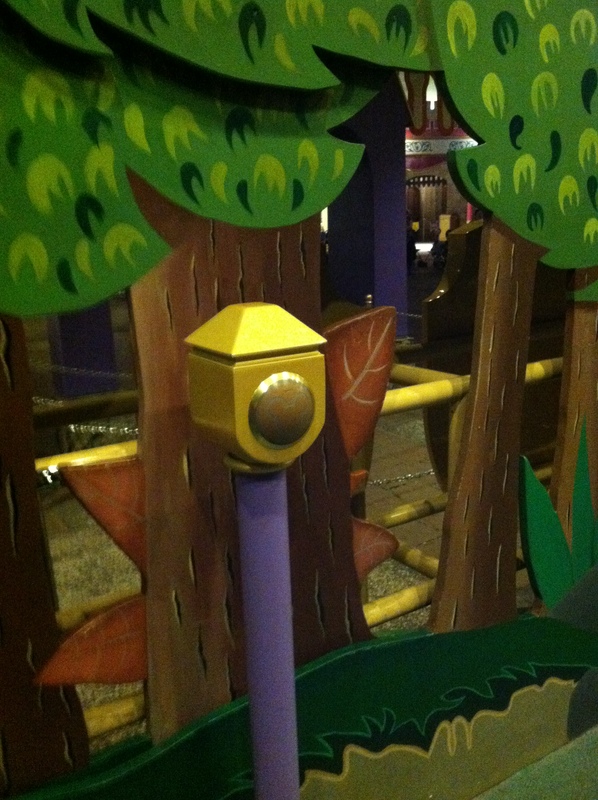 This is an example of one at the Winnie the Pooh ride. Do not purchase used tickets! 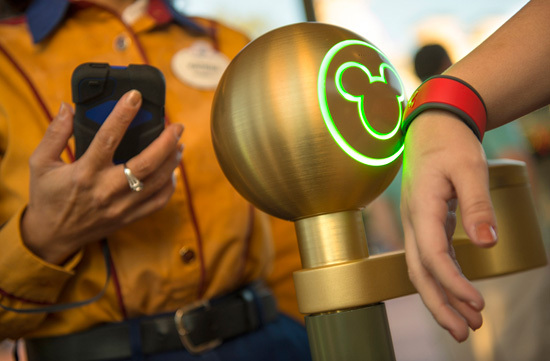 Disney uses biometric scanners to link the ticket to the individual. You can’t use anyone’s ticket but your own. So avoid eBay and Craigslist for discount tickets. If you have old tickets with no expiration, you must trade them in at a ticket window or WDW hotel concierge desk. 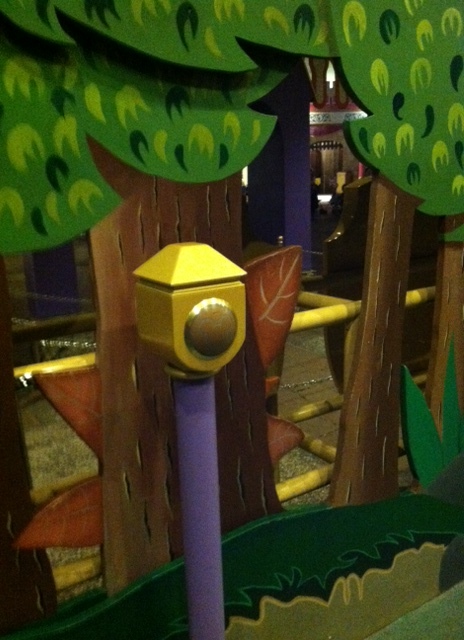 Disney now uses RFID technology and you need a ticket with a chip to get past the scanners. Your tickets do expire 14 days after the first use, so make sure you use all your days or get the no expiration option. I find the no expiration a waste of money, but I plan my days to utilize them. I love Star Wars and I love Star Wars Weekends. The artwork has been released for this year’s Star Wars weekend and I love it. Return of the Jedi is my favorite of the original trilogy and I have a soft spot for the Ewoks. This year is particularly special because it is the celebration of the 30th anniversary of Episode IV: Return of the Jedi. 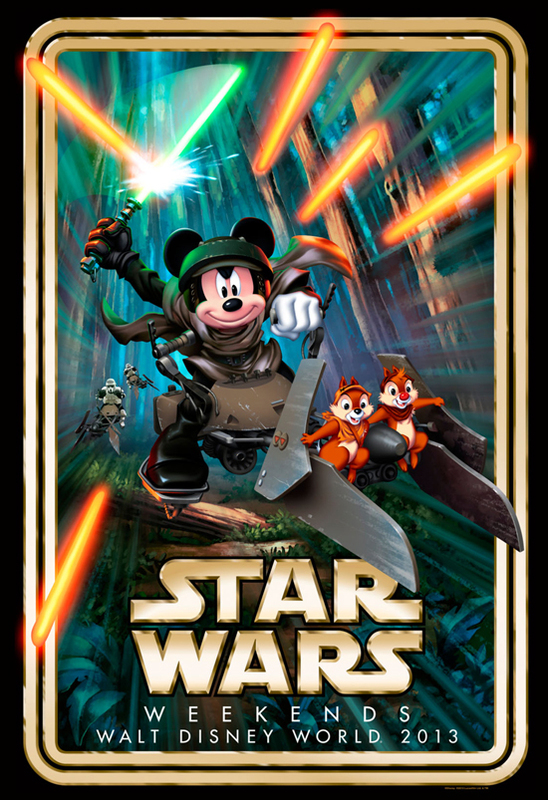 I don’t know about you but I remember seeing this one in the theatre when it was released, so now I feel old… It is also going to be interesting this year because it is the first Star Wars Weekend in which Disney now owns the Star Wars empire. But know that this is not for the first time Disney traveler. Star Wars Weekends are hot, crowded and confusing if you don’t know your way around Hollywood Studios. If you are a seasoned veteran of WDW and you (or your children/spouse) are a fan, this is the weekend for you to visit! The full schedule is not released but here is what is available now. Star Wars Weekends will take place May 17-June 9, every Friday, Saturday, & Sunday. Celebrity Guests: You can get a fastpass to meet and get autographs from the celebrities. James Arnold Taylor: The Official Celebrity Host for all 4 weekends. The voice of Obi-Wan Kenobi in The Clone Wars series. He performs a one man show about voice talent. Ray Park: Darth Maul from Episode I: The Phantom Menace for Weekends 1 & 2. He is also a martial arts expert and in X-Men & GI Joe. He does a martial arts show during the weekend. The schedule should stay the same for the most part. Character greetings and autographs from the bunches of characters from all the movies and cartoon, specialty merchandise, Jedi Training, Padawan Mind Challenge, Hyperspace Hoopla, Star Wars Stars Motorcade Parade with stormtroopers and various characters. I will update more as soon as the information comes available, so stay tuned! I have so many people ask me about the various Character Dining options in Walt Disney World. I have compiled a list with descriptions for each to make deciding easier for you! I have previously written about my favorites if you want to take a look. This is a basic list that tells you the facts, not my opinions of each (which I have many). Sorry, I haven’t blogged in quite a while. We just got back from the most magical place on Earth and then school started 2 days later. Talk about cutting it close! On top of all of that is the fact that this was our longest Disney vacation yet (7 nights/8 days) and we were all exhausted. I had planned on writing while there but let’s face it, spending time with the family was more important.